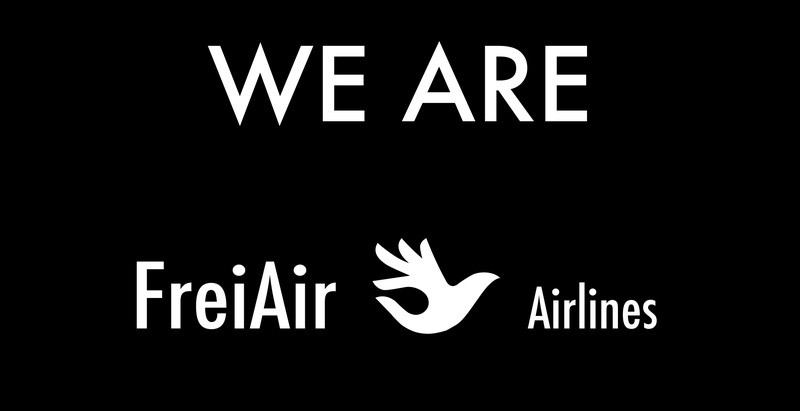 Aimed at challenging the dominant economic model, FreiAir Airline project is an art initiative that takes form of a fictional airline company. It is an experimental collective practice of questioning the current economic system and power relations of a neoliberal society and suggesting other forms of reciprocity and capital exchange. The project addresses the concept of “freier” and global “freierness”: the name "FreiAir" is derived from the Hebrew term פראייר (freier), describing a person that is easily fooled; a “sucker.” The concept of a “freier” is a meaningful cultural symbol, highly amplified in Israeli and other cultures (Polish, Russian, etc), where this slang term has also been used, sometimes with a different meaning (free and not belonging to the world of criminals). 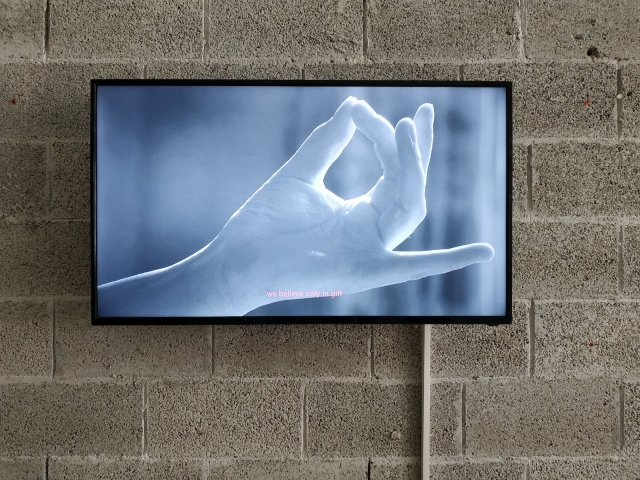 Often exploring the connections between the personal and the public spheres, in her new project Aleksandra Wilczynska analyzes how the idea of “freier” functions as an important component of the collective attitude, as well as a personal philosophy. It carries malignant cultural implications and it often rationalizes acts of violence or social injustice. 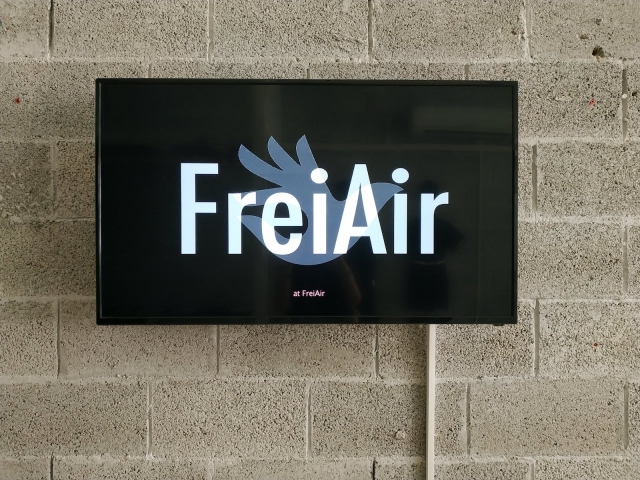 FreiAir employs the form of an airline company in an attempt to elevate the freier beyond its negative connotation and to transit to a new destination. While air transportation symbolizes the ultimate freedom of movement and open possibilities, today’s airline companies embody the most repressing forms of corporate economy, subduing the individual to laws and conditions he has no control over. The clash between proclaimed freedom and disempowering lack of personal choice exemplifies the absurdity of the capitalist economy. 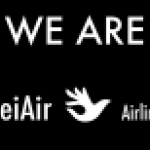 The main slogan of FreiAir is "We give without receiving", which subverts the idea of economic reciprocity and financial profit. The FreiAir Airline project has strong interactive and performative components and invites viewers to co-create a new enterprise of “frierness” and contribute to developing the new company's policy by suggesting their ideas. On the day of the opening of the exhibition a performance will be held where the representatives of the new company will describe its four shaping sections: Value Creation, Marketing, Human Resources and Finance. They will engage the viewers in discussion and exploration of the concept of “freier,” and the idea of giving without receiving. The exhibition space will be transformed into a two-function room: launching of the new company and the conference room. The outcome of the dialog with the audience will form an archive - a valuable source for the development of the company, which will be growing over the month that the the exhibition is on view. 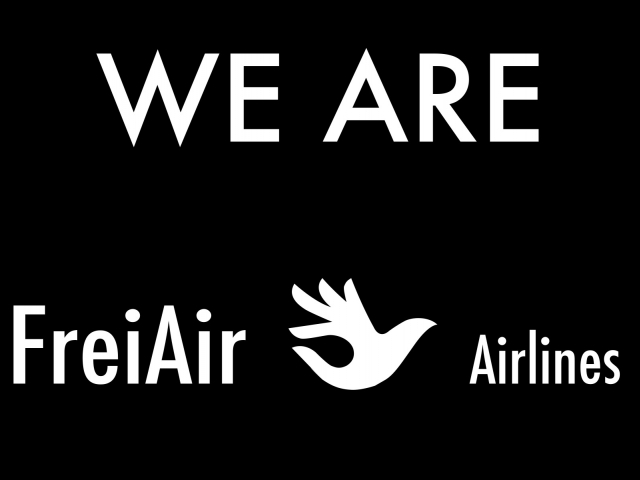 Please join us for the official opening ceremony of the FreiAir Airlines where you can learn about the rules and regulations of the new company and contribute to shaping its principles. Company founder Aleksandra Wilczynska and the heads of the departments Tamar Segal, Kye Korabelnikov and Moshe Elad will great you and speak about the company's concept and future plans for development. The ceremony will be held at 11.00 and 11.30 on October 26 prior to the exhibition opening. Aleksandra Wilczynska is a visual artist working in a range of mediums including sculpture, video, performance and installation. She was born in Poland where she studied Cultural Theory at Wroclaw University. She got her BFA degree from Hunter College (2012), New York where she was a recipient of the Kossak Painting Fellowship. In 2013, Aleksandra relocated to Israel and enrolled in a Master Program of Fine Arts at Bezalel Academy. During her studies she began exploring the connection between Israeli and Polish cultural values and its impact on the international arena. 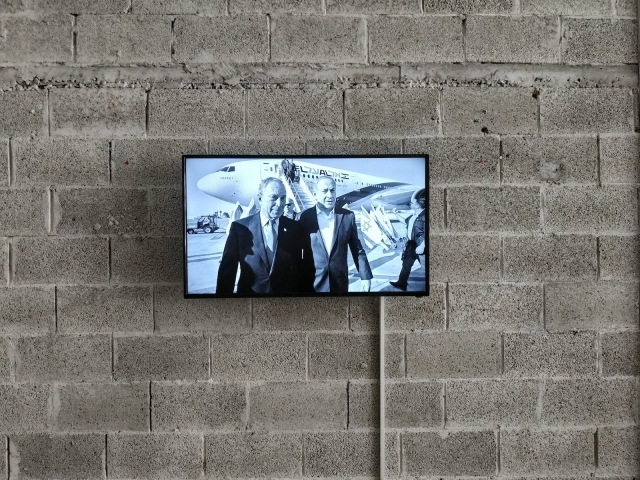 Aleksandra represented Bezalel in Andrea Zittel’s Institute of Investigative Living. 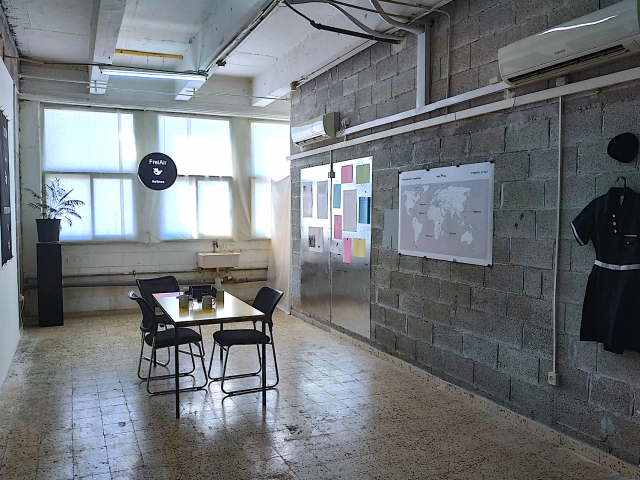 Since graduating (2015), the artist exhibited her work in various galleries and art fairs throughout Israel, including Musrara Festival, Artists Studio, Minshar Gallery, Fresh Paint Art Fair. In 2017, together with the Polish Institute in Tel Aviv she organized a series of workshops and lectures at the Bezalel BFA and MFA Programs, Shenkar, Hamidrasha and Haifa MFA Program where she addressed Contemporary Polish Critical Art and its parallels within the Israeli sphere. 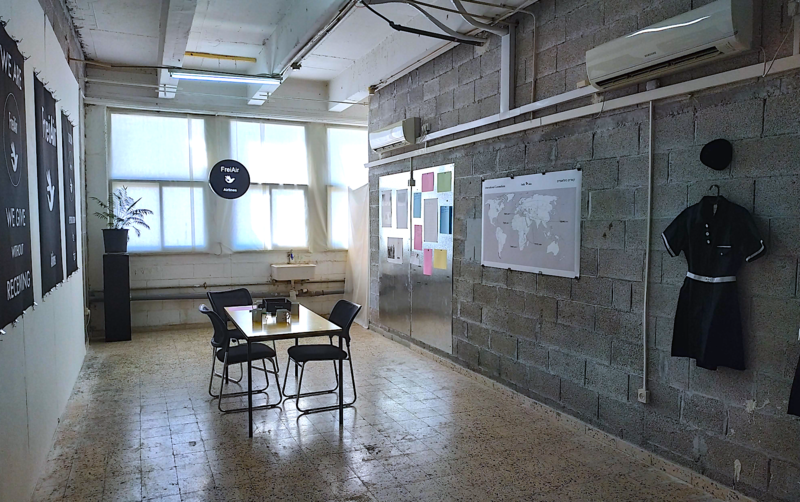 In October - November 2018 Aleksandra is an artist-in-residency at ArtCube Artists' Studios, where she develops the FreiAir project. The opening and the performance in the framework of FreiAir is a part of the annual festival of contemporaty art Manofim, organized by the ArtCube for the 10th time in Jerusalem this year. The project is supported by Polish Institute and ArtCube Artists' Studios.